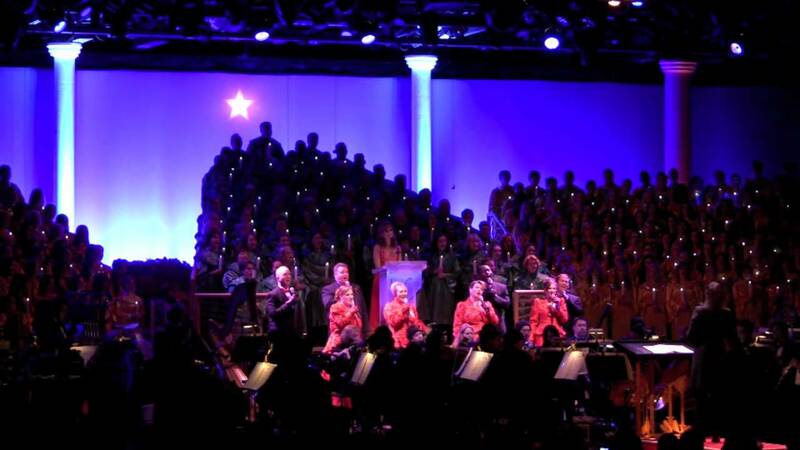 Jul 08, 2015 in "Candlelight Processional"
Disney has today opened reservations for the 2015 Candlelight Processional, part of Holidays Around the World at Epcot. Fan favorites Neil Patrick Harris, Whoopi Goldberg, Amy Grant and Joe Morton all return, with more celebrities yet to be announced. More dates are still to be confirmed. Candlelight Processional Dining Packages start at $35 for lunch and $50 for dinner for adults, include a meal at an Epcot restaurant and a guaranteed seat for one of the Candlelight Processional performances and pre-arranged fireworks viewing. You can make reservations online at https://disneyworld.disney.go.com/dining/epcot/candlelight-dinner-packages/ or at 407-939-3463. The Candlelight Processional and Candlelight Dining Packages are seasonal holiday events that will take place 3 times daily—from November 27 to December 30, 2015—at Epcot. Dining Packages are not available on Sunday, December 6 at 5:00 PM. Reservations for Candlelight Dining Packages can be made beginning on Tuesday, July 7, 2015. Advance reservations are highly recommended, and can be made up to 180 days prior to your visit. Dining Packages can be purchased at all participating restaurants, or by calling (407) WDW-DINE or (407) 939-3463. After booking, Guests will receive Candlelight Seating badges for the specific date and show time they have reserved.